Here is the goodevening message to share with your friends, love and colleagues. 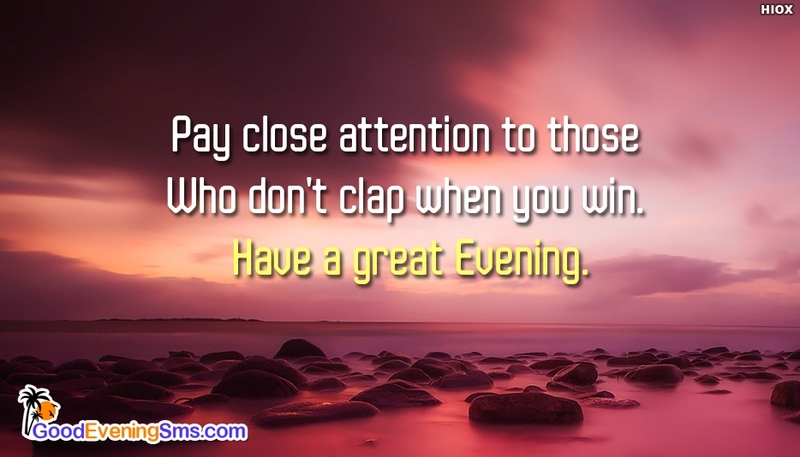 This good evening picture delivers a people message "Pay Close Attention To Those Who Don't Clap When You Win. Have a Great Evening". Through this good evening SMS picture say to your love or friend that there are some people who do not like your success and be careful with them.